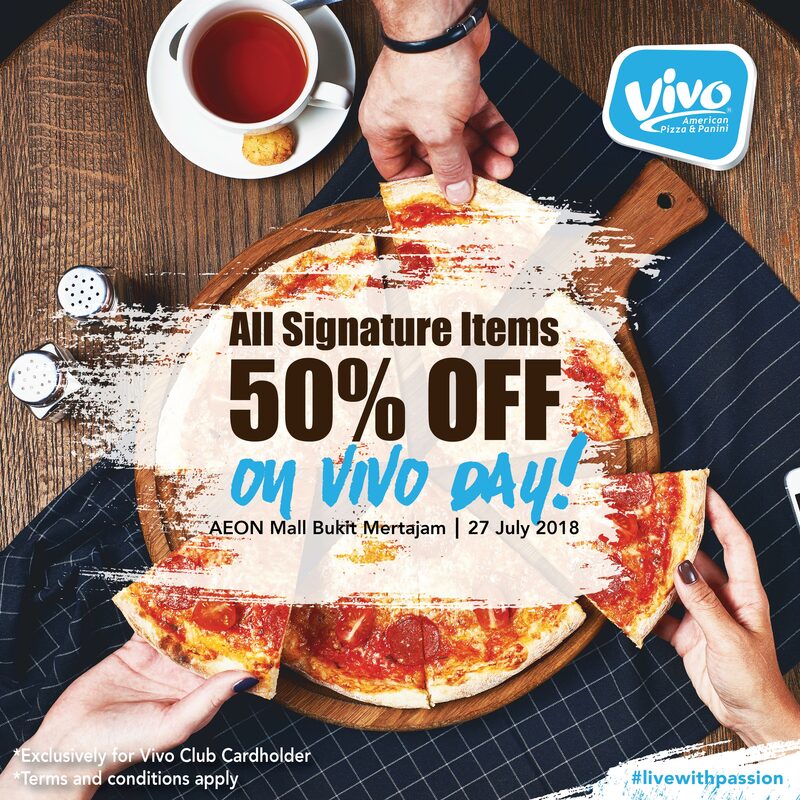 Enjoy 50% off Vivo Day Menu on #VivoDay! Exclusively for Vivo Club Cardholder. 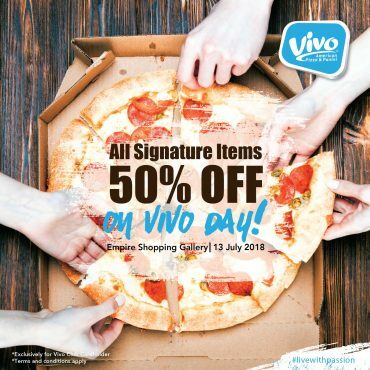 Walk-in customers are entitled to sign up Vivo Club Card on the spot in order to join Vivo Day. VCC Benefits are not applicable in Vivo Day. 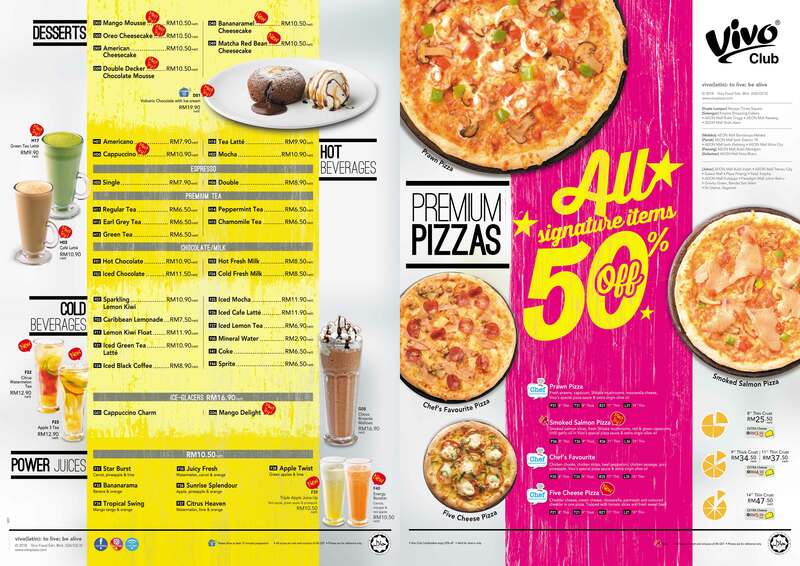 Only products that in Vivo Day Menu are available. 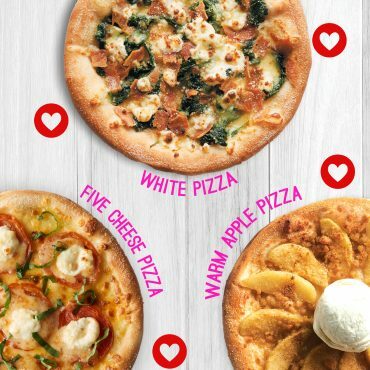 Only available at Vivo Pizza AEON Mall Bukit Mertajam. Only on 27 July 2018, Friday. Vivo Day not applicable to any others promotion or joint promotion. 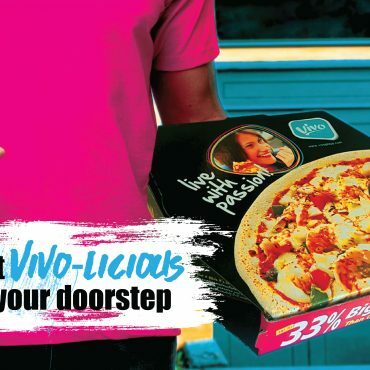 Vivo Pizza reserves the right to change the terms & conditions without prior notice. 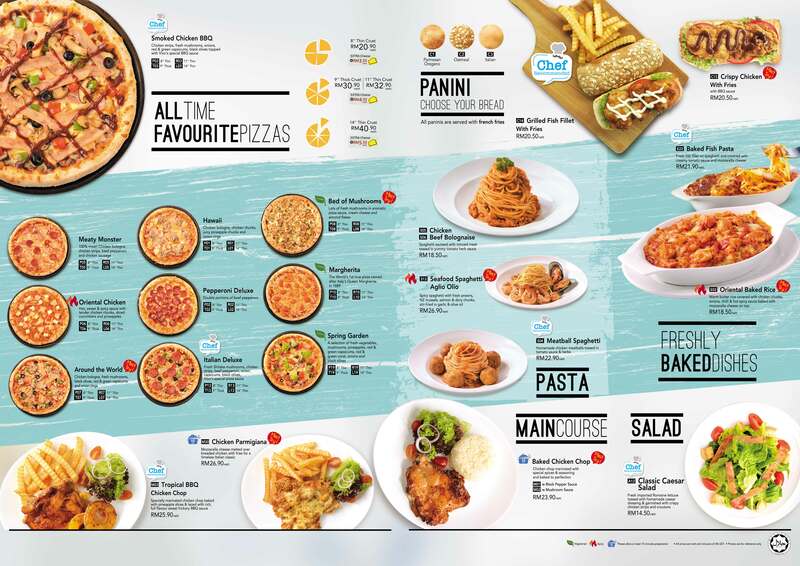 All items in the existing Vivo Day Menu will be given a 6% deduction (Zero-rated GST). The reduced prices will be reflected in your bill.